Is a coalition of organizations, communities, and individuals who share a commitment to building the capacity of British Columbia to develop responses to rural and remote community issues. Tap into their website and newsletters where they are continually showcasing funding organizations, opportunities, and ongoing funded projects. is an invaluable and unique supporter of the Basin and develops and delivers programs and initiatives that respond to the needs of communities. Their funding programs list nineteen different programs covering housing, arts, culture, heritage, business advisors, awards, bursaries, community development and activities, youth, environment, school & summer works, social, and training support, to name a few. is a unique collaborative program that promotes and supports social enterprise development and growth as a means to build strong non-profit organizations and healthier communities. Check out their website and newsletters where for funding opportunities and review recent grants awarded. is another substantial organization committed to pursuing, delivering, and co-coordinating resources and services provided by and for its members in the region. 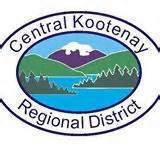 Their partnerships with funding organizations and connections in the Kootenays and BC are extensive. is an important well known local service provider on the east shore. Their Community Investment Program was specifically created to help communities thrive by providing funding assistance in areas of education, community, economic development, social responsibility, wellness, recreation and arts, culture and heritage. services are critical to the east shore and they have 6 granting programs, 2 of which are specific to Electoral Area A. Recreation Commission #9 operates the Recreational Program Local Service. They carry out programming activities which include the provision of financial contributions to persons or groups to provide recreational programs. The Economic Development Commission has an Economic Development Grant funding program that organizations, clubs or societies can utilize for projects which foster economic development.